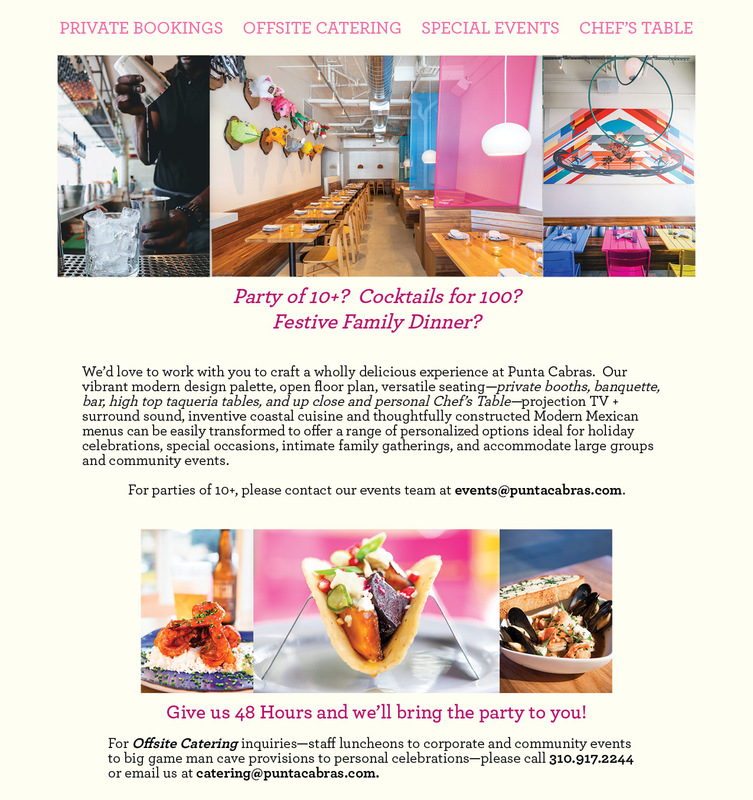 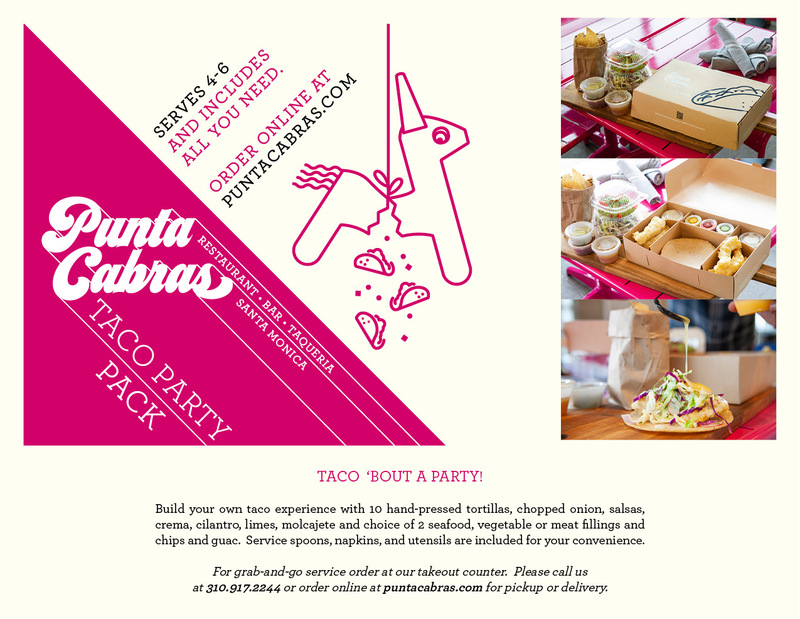 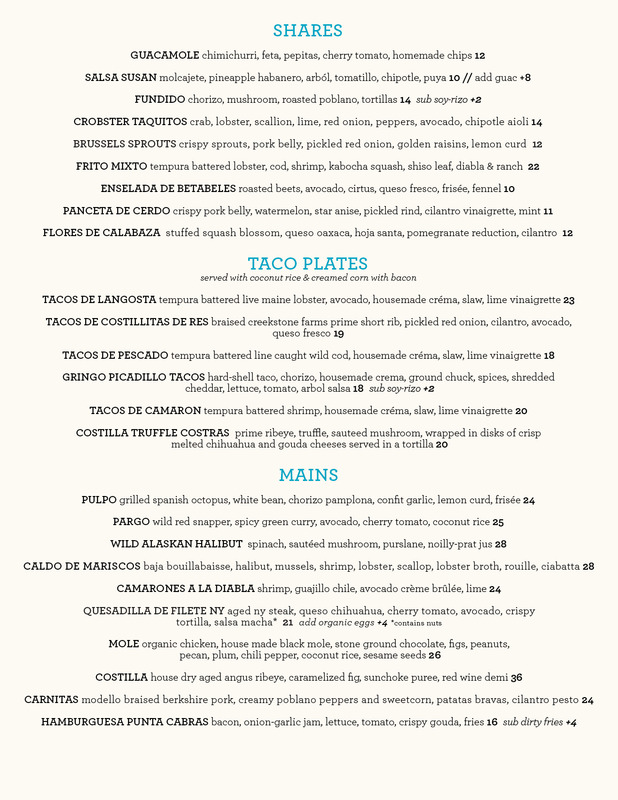 Welcome to Punta Cabras, beach close modern Mexican restaurant, bar, and taqueria discovered at the intersection of Broadway & 10th in midtown Santa Monica created by Daniel Snukal (Urasawa, LudoBites, Obika) and Mark Mittleman (Polo Lounge, Art’s Table, On the Verge Hospitality). 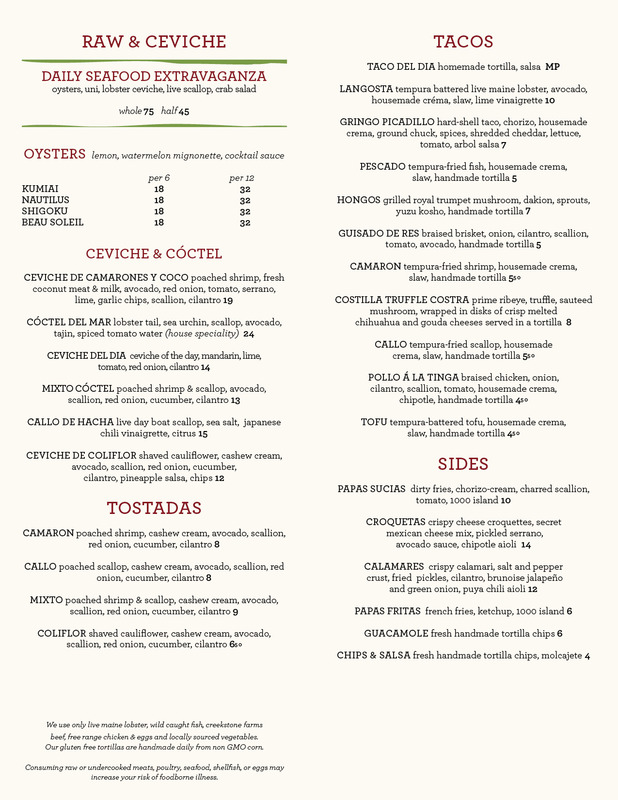 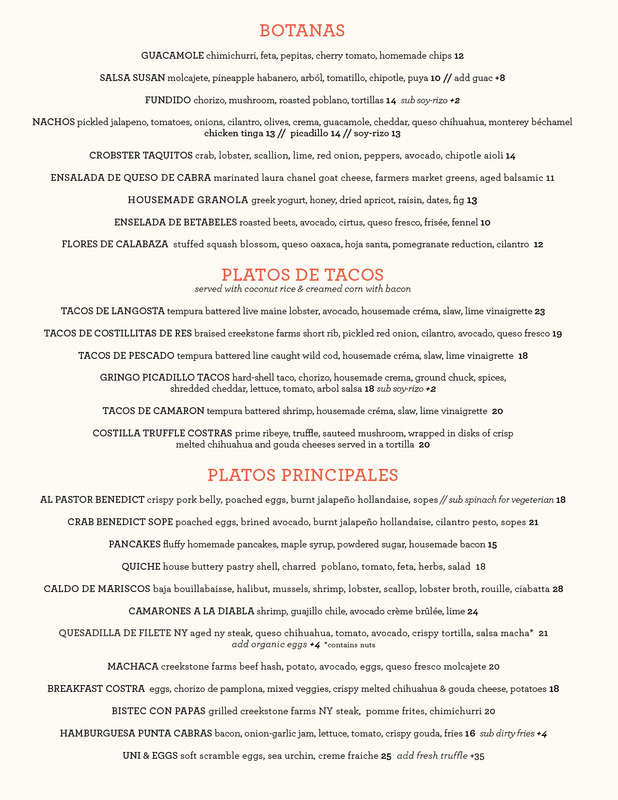 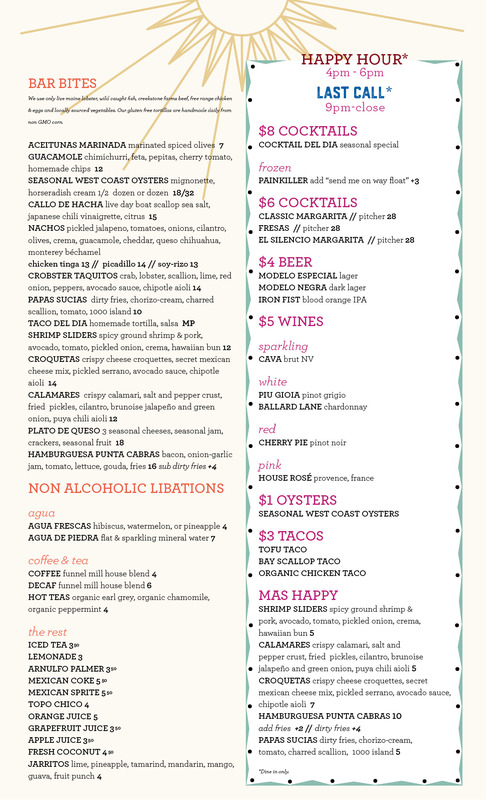 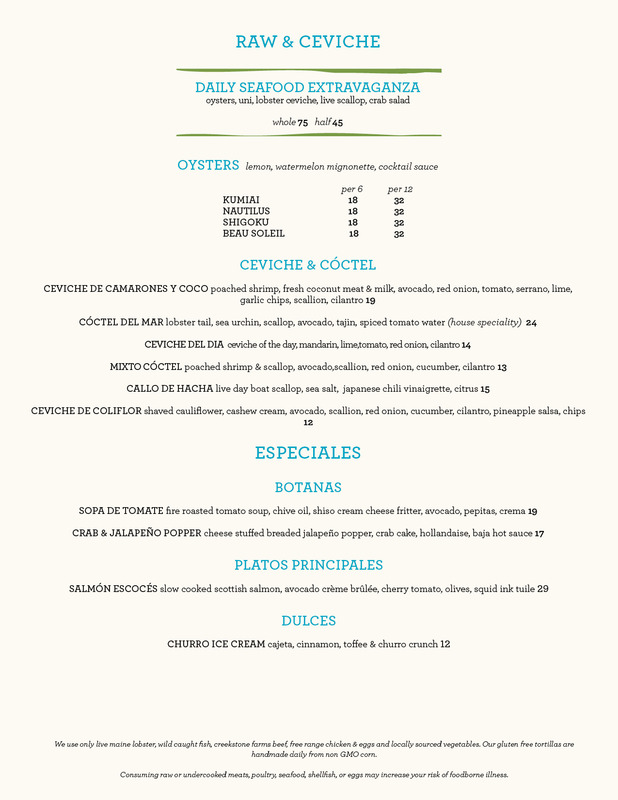 We’re excited to debut our seasonal menus and fresh Baja-inspired coastal cuisine. 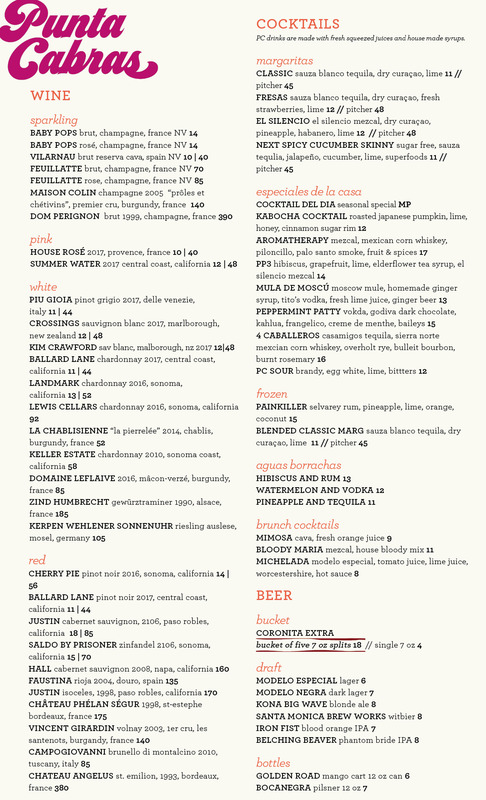 We use only live maine lobster, wild caught fish, creekstone farms beef, free range chicken & eggs and locally sourced vegetables. 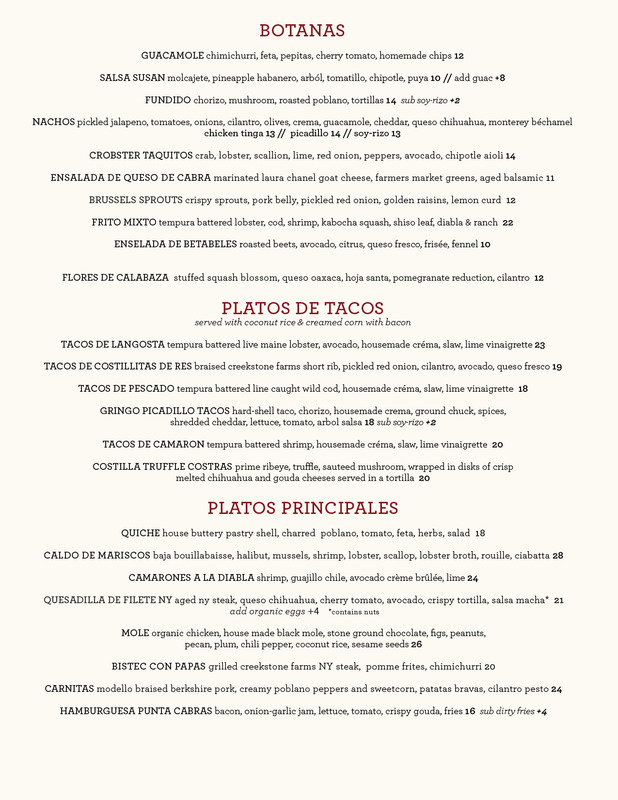 Our gluten free tortillas are handmade daily from non GMO corn.